How much space do you need for your wedding day? So you’re engaged – yay! You’re getting married – YAY! And you’re on the hunt for your dream wedding venue. Which you thought was going to be exciting but you’re coming across more questions than answers and now it’s becoming confusing. Panic over – I’m here to help you find your perfect wedding venue. What I’m looking at in this series of blog posts about finding your dream wedding venue can apply to any wedding venue, not just this one so you can apply it to any venue you’re looking at. How do you compare wedding venue prices? The top 3 ways to find your dream wedding venue online. how much space do you need for a wedding? A quick way to look at this is to run through each of the different parts of your wedding day and see what your space requirements are. 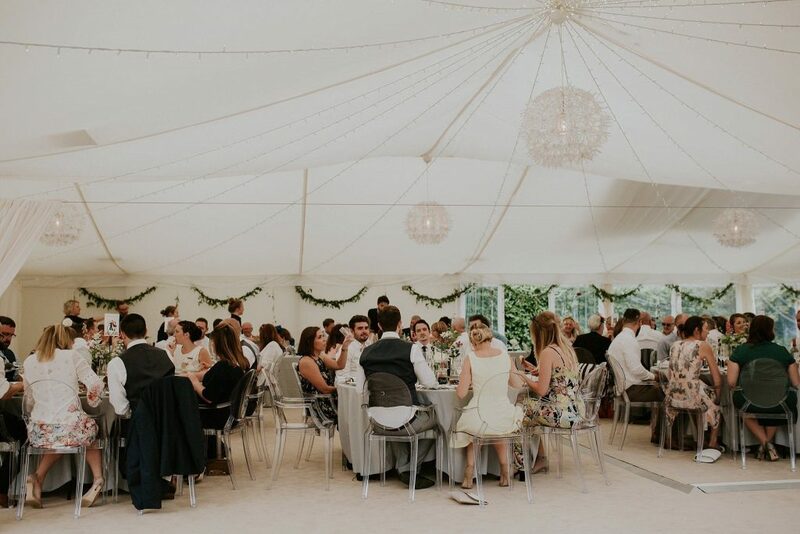 Assuming you’re getting married at your venue and not in church, your guests will arrive on site and probably have arrival or welcome drinks before the wedding ceremony. You need somewhere for guests to drop off cards and any gifts, leave their coats and bags and get a drink. So you need arrival space. Then your guests will move to the area for your wedding ceremony. You’ll need space for your guests to be seated for the ceremony. After you’re married (yay!) you might have a drinks reception. Where will that be? Most guests will be happy to stand for a drinks reception but you will need some seating for guests who might find standing more difficult. Following the drinks reception you’ll probably move in for your wedding breakfast. Here you need tables and chairs for everyone. After the wedding breakfast you might have cocktail hour ahead of music & dancing. 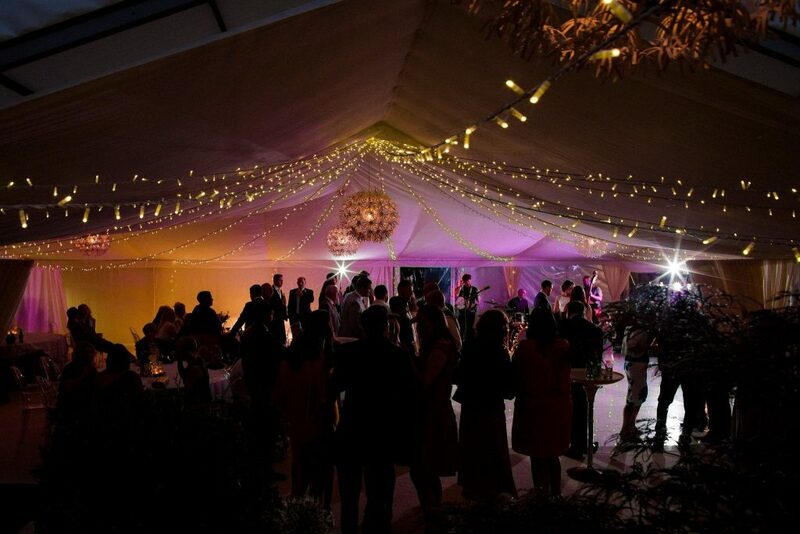 During the evening celebrations you need the bar area, dancing space and chilling area for guests who want to sit and chat. Check whether the venue has enough space for all guests to be in the same space at the same time or will they need to be split up into separate rooms. I’ve heard of a number of venues where either guests are in a different rooms for the wedding breakfast or the space is say an L shape so some guests can’t see what’s going on, that’s not good for guests seeing and hearing speeches. A big open space is necessary for your wedding breakfast so guests can see everything that’s going on. So do check out the shape of the space and whether all guests can be in the same room at the same time. Another thing to consider is how the evening space works. Guests are usually doing one of 3 things, throwing their best shapes on the dance floor, propping up the bar or chilling & chatting. Is the bar down the corridor? Will you lose bar guests for the evening? Will guests need to leave the dance area to have a chat because it’s too loud and they can’t hear themselves think? How can you keep your guests together whilst allowing them to do what they want to do? Some venues will use spaces more than once so they might change over the arrivals space into the drinks reception space whilst you’re having the wedding ceremony. Or maybe the reception space into the wedding breakfast space. Ask how it works. If you’re thinking of more of a DIY wedding, you need to think about how you’ll be able to provide the areas for these different functions. We do one space change over here, the wedding marquee is changed over after the wedding breakfast for music and dancing. 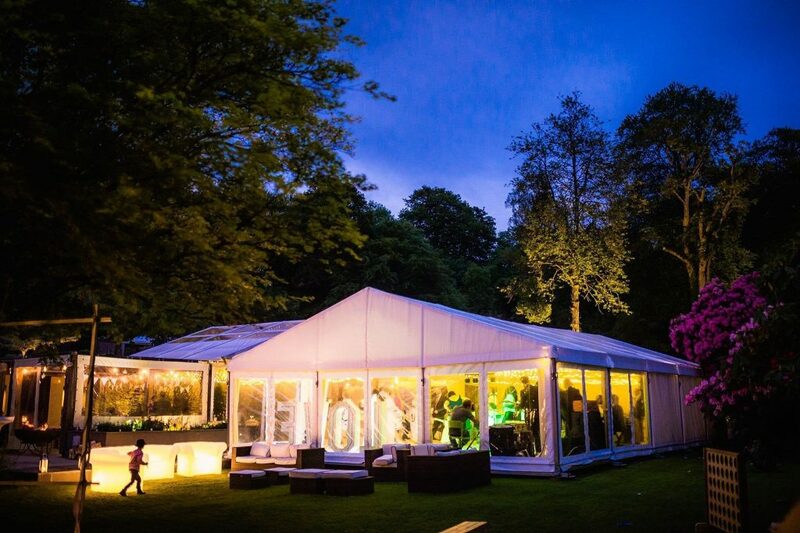 Guests move to the terrace for tea and coffee after the wedding breakfast (if the weather’s good, tea & coffee is served on the lawns), we drop the curtains to screen off the marquee and our team of wedding ninjas move in to change over the space. They clear the tables, move chairs and tables, roll up the carpet from the dance floor, put fresh linen on the tables, re-use the flowers from the wedding breakfast, add more candles. That’s the time your band or DJ can come in, set up and do their sound checks. Then ta da! You’re ready to go for the evening. will any space be used more than twice? who will do the change over? will the change over be hidden from guests? When you’re considering any wedding venue, check where guests will be for each part of the day. I’ll be looking at wet weather options for outdoor venues shortly, so keep an eye out for that. Next PostHow many wedding venues should you visit?